Y’all we buy a lot of bananas. A. Lot. We never happen to eat all of the bananas we buy. Some of them make it into the freezer prior to turning. Many of them go dark and become over ripened. But, you see, there is always a solution for a rotten banana. When they start going brown J often asks if I’ll make banana bread or my delicious banana oat muffins. In the case of this batch of bananas, I will be able to do both! That’s how many bananas went ripe prior to eating on peanut butter toast, as a quick snack or in a protein shake. Where this recipe is not new, in fact it is all over Pinterest, this is me delivering it to you, my people. Because no brown banana will be lost on my watch! 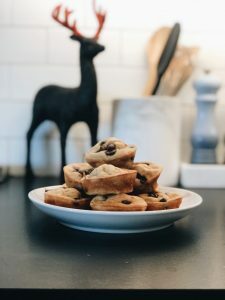 Before I give you the goods, a few tips are necessary to eliminate frustration and make the muffins as delightful as possible. 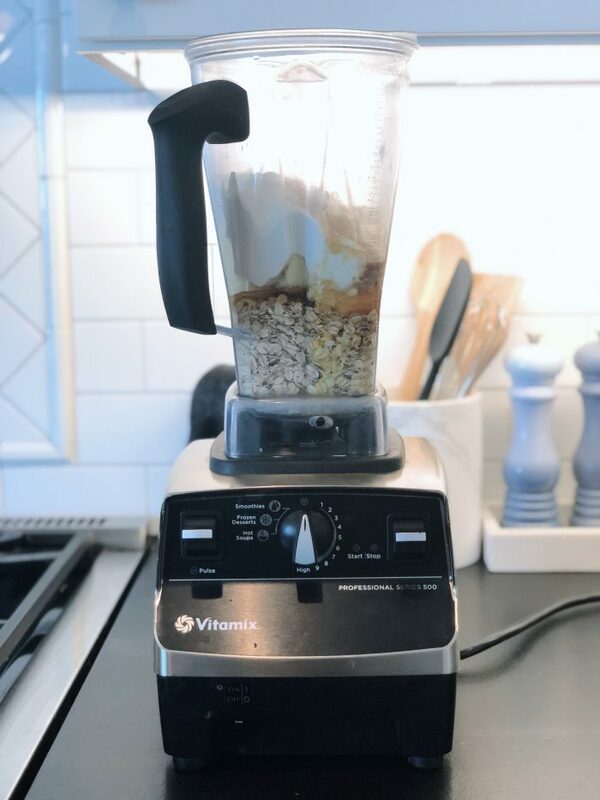 Do not start with the oats in the bottom of your actual blender (ignore picture above, I swear). Add the yogurt or eggs first. The oats will get stuck at the bottom and wreak havoc on the process and certainly create frustration. Do not put your spatula in a moving blender. I know this seems like common sense, but I may or may not have thought I could clean the sides of my blender while it was in use (one time). That batch never baked as I am certain I would have served a side of plastic in every bite. Add whatever mix-ins you like. Raisins, cranberries, nuts, flaxseed, chia seeds, etc. We just love chocolate chips. 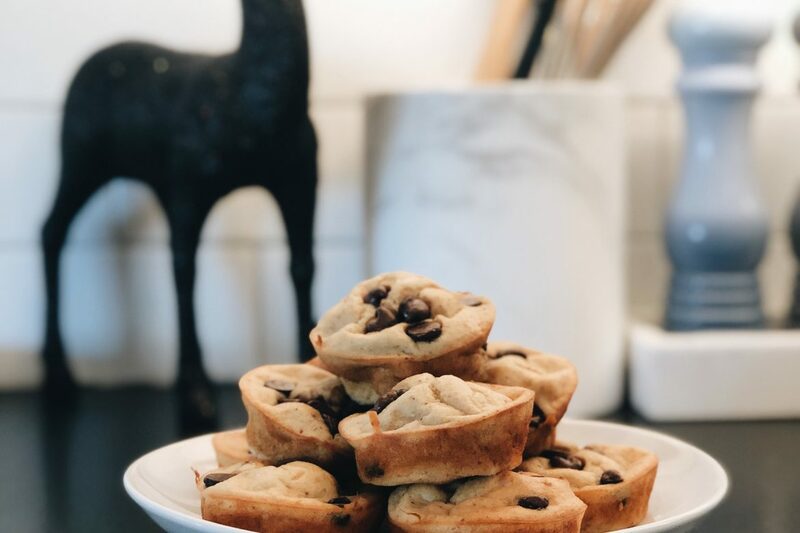 Give us all of the chocolate chips. You can use a food processor if you’d prefer. I just don’t own one. Now, onto some truth. These are “healthy” in that there is no flour, added sugar (chocolate chips do not count i my book), butter, etc. That means a few things. 1) The texture will not be what you are used to in a muffin, 2) The addition of chocolate chips does add sugar and fat (but, chocolate) & 3) The calories are significantly lower than a store bought muffin (but, size does matter and two or three muffins does equate to that of a store bought muffin & you may just want that many). Also, for those paying attention, these babies are gluten free! We store these in a glass resealable container and they last until we finish them. As predicted, 12 muffins do not last long in our family of five. 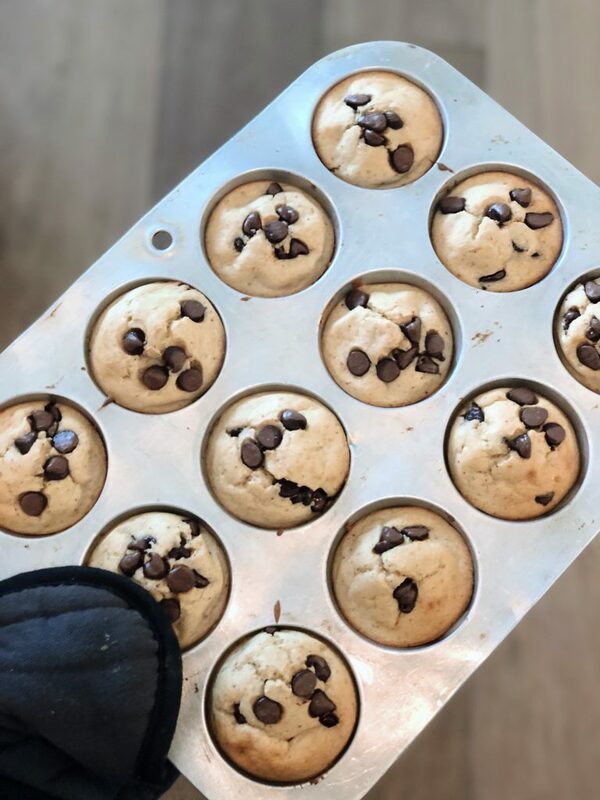 Enough of this chatter, time for the good stuff … I’m going to go dig into my gooey, yummy Banana Oat Chocolate Chip Muffins. These beauties are what happen when one doesn't eat ripe bananas in time. These beauties were made from brown bananas and are the true definition why we should never read a book by its cover. The delight and delicious that stems from my brown bananas is amazing. Mix-In Options: Chocolate Chip Cookies, Raisins, Cranberries, Nuts, Flaxseed, Chia Seed, etc. Pre-heat the oven to 400 degrees. Grease a traditional 12-cup muffin tin. Collect all ingredients. Organize yourself because that makes cooking the most fun. Take all the yummy ingredients, except for the mix-ins, and dump those babies into your blender. Do not add oats first. Stop to spatula mix and scrape the blenders edges. Mix about 2 - 3 minutes. Evenly pour the mixture into the 12 muffin cups. There will be some mixture left (do what you will with it). Take your 1/2 cup of mix-in and evenly distribute them throughout the tins. I use a spoon to mix some of the mix-ins into the muffin and save some to top the muffin (I am all about the mix-ins). Bake for 15-18 minutes, until tops are golden brown. Let sit 10 minutes and remove from muffin tin. Eat one right away, store the rest to eat throughout the day(s). Quick, easy and mostly healthy! So there you have it! 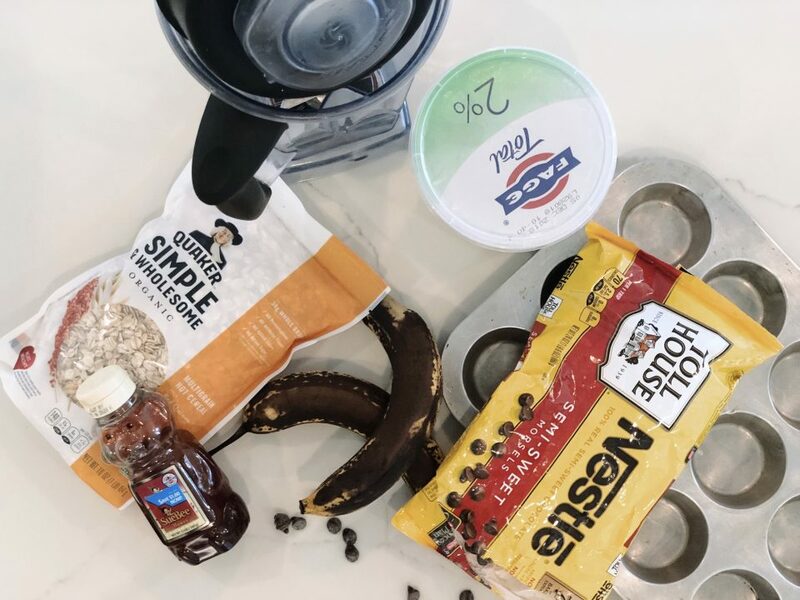 A family favorite… A blender banana oat chocolate chip muffin. 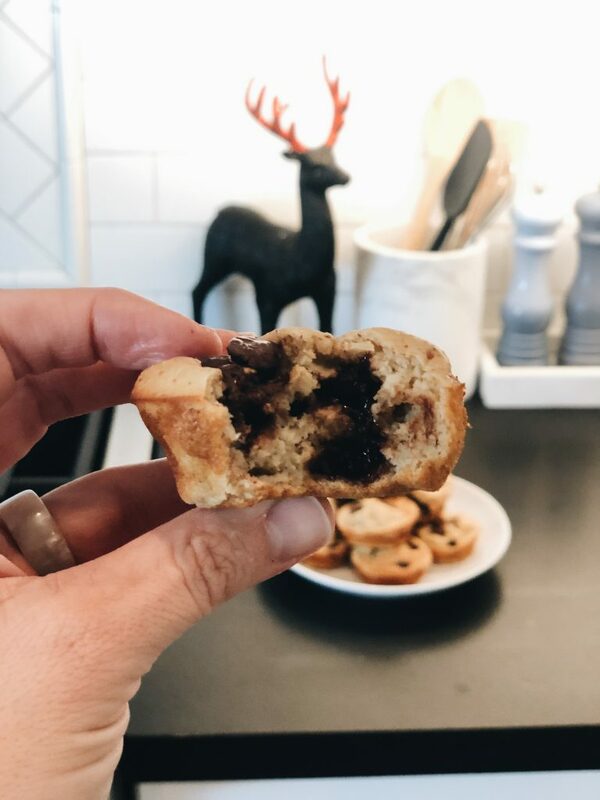 And if you think I’m wrong, J just tested one fresh out of the oven and said he could live off of these and my egg muffins (I see another post in my future).